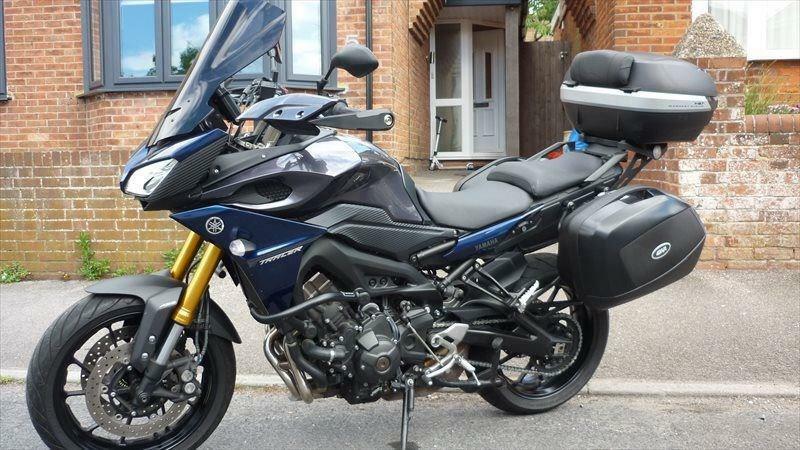 Today’s bike of the day is this 2016 Yamaha Tracer 900. If you're interested in a Tracer 900 - See what we have for sale here. We'd also love to hear your thoughts on this bike or others you may have purchased through MCN's Bikes for Sale - share your purchases on MCN Facebook, Twitter or Instagram. Looking for something else? Visit MCN Bikes For Sale website or use MCN's Bikes For Sale App. Is sports touring the quirky Niken’s perfect niche? The Tracer 700 is an unbeatable mix of fun and practicality. It’s definitely the lighter way to enjoy sports-touring. "In many ways the older Fazer is better than the new model"
Who needs a big capacity adventure bike when the new F850GS is around? "Reborn Triumph's 900 Trident was about as straightforward a bike as Hinckley could produce, and also one of the best"